BLOAT GUARD BLOCK 33.3 LB. - P M Ag Products - It can take as little as 30 minutes for bloat to develop to the point of death in your herd and it can happen day or night. This can be prevented with Bloat Guard Blocks. All you have to do is follow a few simple management techniques to protect your herd and your investment. The lushness that is most beneficial to your grazing program contains legumes that can cause bloat. Bloat Guard blocks counteract the lushness with the power of poloxalene, a proven chemical that's safe for cattle, other animals and people. While poloxalene is available in other forms, it is most effective in block form. There is simply no better way to control intake. 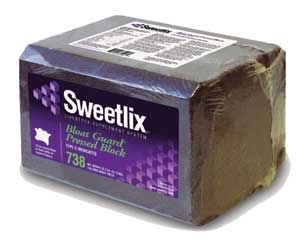 With Bloat Guard Block, you're assured of predictable consumption and the proper dose of prevention, every day. 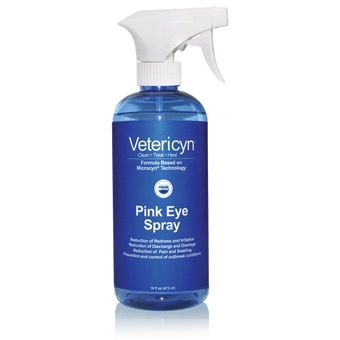 Vetericyn Pink Eye Wash 16 oz. Treats the symptoms of Pink Eye, Reduces chronic inflammation and irritation while killing bacteria, viruses and fungi by increasing oxygen to the wound site. Vetericyn Universal Hydrogel 16 oz. One-step topical water-based HydroGel spray that cleans wounds, treats infections and kills bacteria including antibiotic-resistant MRSA, Use to treat topical infections and wounds, hot spots, rain rot, outer ear infections, yeast infections and rashes. Vetericyn Animal Ophthalmic Gel 1.5oz. All Animal Eye Wound treatment for Eye infections and injuries. Antibiotic-FREE, Steriod FREE. Increases oxygen to the wound site while reducing inflammation. 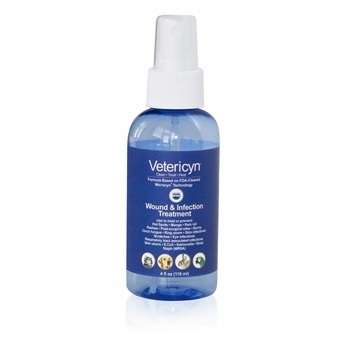 Vetericyn Wound & Infection Treatment 3 oz. 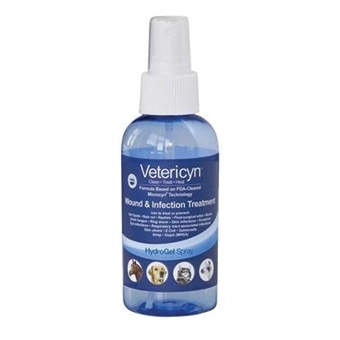 Vetericyn Wound & Infection Treatment 16 oz. 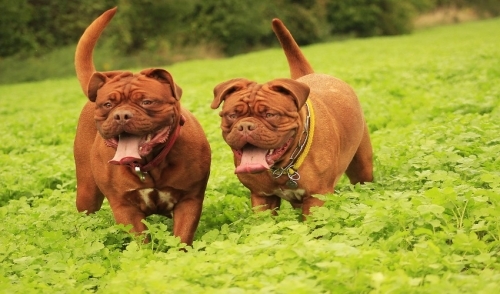 Cleans, treats and heals wound and infections without harming healthy tissue. Effectively kills antibiotic-resistant strains of bacteria, fungi, viruses and spores. Features easy to read, bold graduations to ensure dosing accuracy and a medical grade silicon lubricant inside barrel for smooth accurate delivery. Summit Industries, Inc. - Corona Ointment, with the emollient action of real lanolin, has an outstanding ability to help heal cuts, scrapes, rope burns, harness and saddle sores and more. Treats chapped, sun or wind-burned lips, muzzles, udders and teats as well. Also helps preserve the hoofs natural moisture balance, strengthen the entire foot, and promote smooth re-growth of hoof wall. An ideal hoof packing, too. Farnam's soothing, slow-drying antiseptic dressing for minor surface lesions, surface wounds, cuts, burns, and superficial dermatitis. Contains scarlet oil and Chloromxylenol, a powerful germicide. Non-irritating; helps relieve itching and aids in rapid healing. Cut Heal Med. 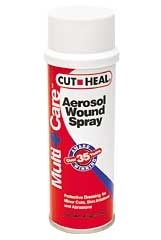 Aerosol 4 oz. Cut-Heal Fast, easy application. A silent spray. Environmentally friendly propellants. Farnam - For use prior to surgical procedures such as: tail docking and castrating. Disinfects wounds and minor cuts. 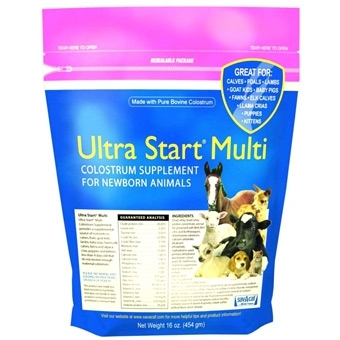 For the treatment and control of (scours) caused by E. coli in baby pigs under 4 weeks of age. Contains spectinomycin. This antibiotic is fast-acting and effective against a variety of gram-negative and gram-positive organisms. 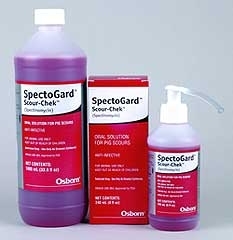 Oral Solution For Pig Scours. 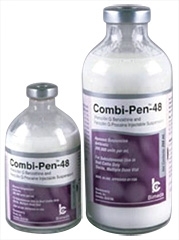 This product is indicated for the treatment of the following bacterial infections in beef cattle due to penicillin-susceptible microorganisms that are susceptible to the serum levels common to this particular dosage form, such as bacterial pnuemonia, upper respiratory infections, and blackleg. 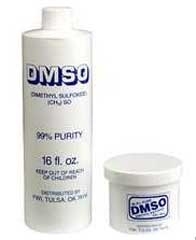 4OZ DMSO GEL. 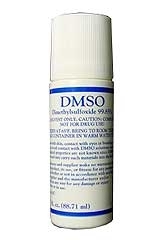 DMSO is a pain killer that has anti-inflammatory properties when applied to the skin. It can help ease the pain of muscle injuries due to sports and fitness activities. Dimethylsulfoxide (DMSO) is a by-product of wood processing for papermaking. It is a somewhat oily liquid that looks like mineral oil and has a slightly garlicky odor. 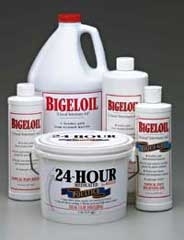 Because it is an excellent solvent, it is widely used as a degreaser, paint thinner, and antifreeze. However, it also has remarkable therapeutic properties, especially for the healing of injuries. Applying DMSO on sprained ankles, pulled muscles, dislocated joints, and even at the site of simple fractures can virtually eliminate the pain. It also promotes immune-system activity. DMSO is absorbed through the skin and enters the bloodstream by osmosis through capillary walls. It is then distributed through the circulatory system and ultimately is excreted through the urine. Penicillin is indicated for the treatment of cattle and sheep, swine and horses. The benefits of Penicillin is that it is versatile, proven effective, fast acting and FDA approved. See label for specifications and dosage. 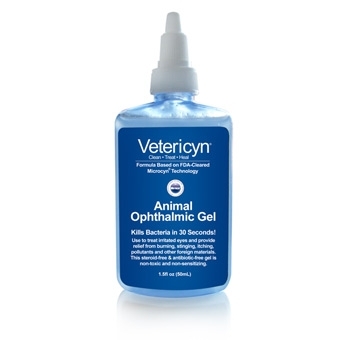 Vetericyn Animal Ophthalmic Gel 1.5 oz.